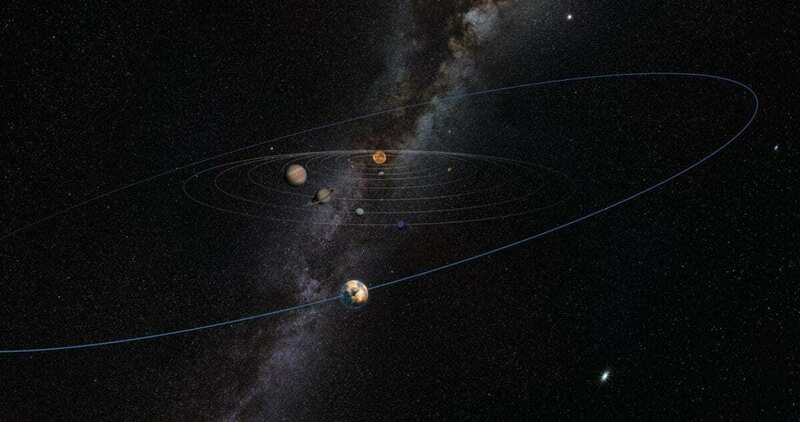 An unknown, unseen “planetary mass object” may lurk in the outer reaches of our solar system, according to new research on the orbits of minor planets to be published in the Astronomical Journal. This object would be different from — and much closer than — the so-called Planet Nine, a planet whose existence yet awaits confirmation. In the paper, Kat Volk and Renu Malhotra of the University of Arizona’s Lunar and Planetary Laboratory, or LPL, present compelling evidence of a yet-to-be- discovered planetary body with a mass somewhere between that of Mars and Earth. 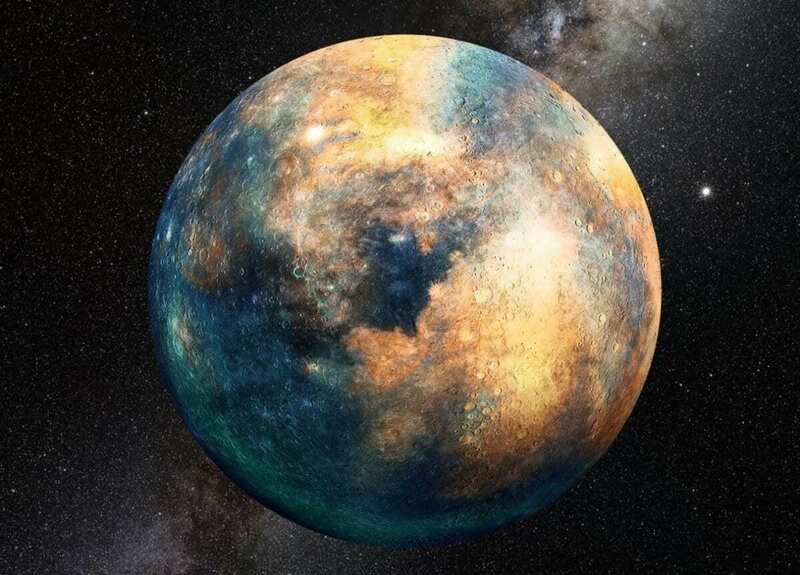 The mysterious mass, the authors show, has given away its presence — for now — only by controlling the orbital planes of a population of space rocks known as Kuiper Belt objects, or KBOs, in the icy outskirts of the solar system. While most KBOs — debris left over from the formation of the solar system — orbit the sun with orbital tilts (inclinations) that average out to what planetary scientists call the invariable plane of the solar system, the most distant of the Kuiper Belt’s objects do not. Their average plane, Volk and Malhotra discovered, is tilted away from the invariable plane by about eight degrees. In other words, something unknown is warping the average orbital plane of the outer solar system. KBOs operate in an analogous way to spinning tops, explains Malhotra, who is a Louise Foucar Marshall Science Research Professor and Regents’ Professor of Planetary Sciences at LPL. So why haven’t we found it yet? Most likely, according to Malhotra and Volk, because we haven’t yet searched the entire sky for distant solar system objects. The most likely place a planetary mass object could be hiding would be in the galactic plane, an area so densely packed with stars that solar system surveys tend to avoid it. Humankind’s chance to catch a glimpse of the mysterious object might come fairly soon once construction of the Large Synoptic Survey Telescope is completed. Run by a consortium that includes the UA and scheduled for first light in 2020, the instrument will take unprecedented, real-time surveys of the sky, night after night.